Silvercrest Submarines are the UK's premier submarine, submersibles, and ROV sales and charter company with contracts performed worldwide. SUBMARINE ESCAPE SUITS for SALE. LIFE SUPPORT EQUIPMENT for SUBMARINES and SUBMERSIBLES. SUBMARINE and DIVING CHAMBER ACRYLIC VIEWPORTS . Fibre (fiber) Optic Products, for use on underwater vehicles, ROVs, and various military applications. SUBSEA, SUBMERSIBLE, ROV ELECTRIC MOTORS. 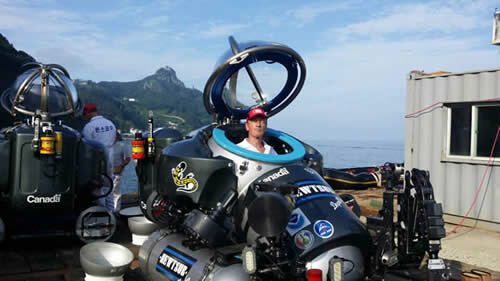 Our two-man mini sub (ComSub) recently featured on the "Extreme Machines" programme shown on Discovery Channel TV. The programme is one of a series of six that features a range of transportation by land, air and sea. The latest film discussed the history and operation of submarines. Silvercrest Submarines can arrange Submarine and Rov Maintenance, also Pilot Training courses for purchasers. 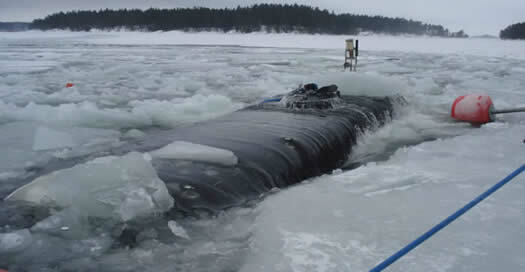 Submersible Refit and Certification programmes. 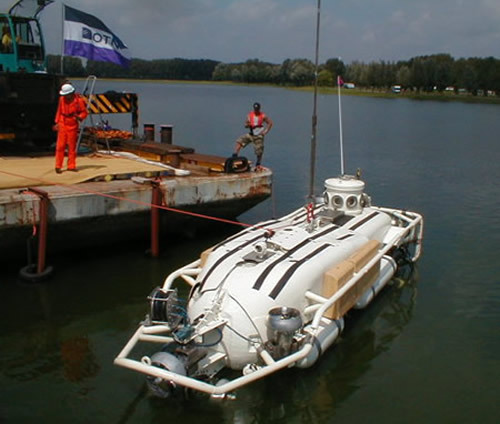 Whatever your underwater vehicle requirements, just ask us and we will support you. Further information available on request. As always we have a wide range of submarines (big and small), plus workclass and eyeball Rovs for sale. Priced to suit all budgets and tasks. Silvercrest Submarines can arrange submarine maintenance, and Pilot Training courses for purchasers. Submarine certification and refit programmes can also be provided. Further information available on request. 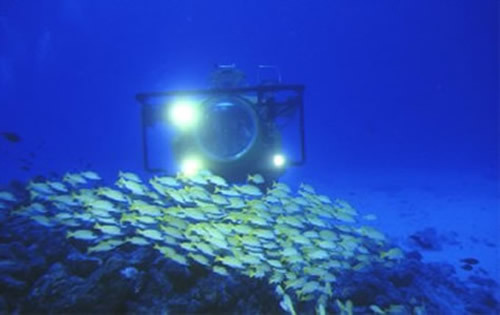 We have a wide range of submarines (big and small), plus workclass and eyeball Rovs for sale. Priced to suit all budgets and tasks. Silvercrest Submarines can arrange submarine maintenance, and Pilot Training courses for purchasers. Submarine certification and refit programmes can also be provided. 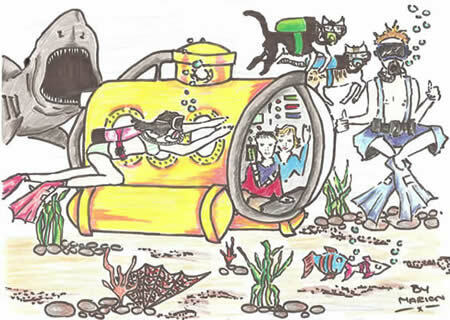 A Submarine Drawing by One of Our Youngest Guests. 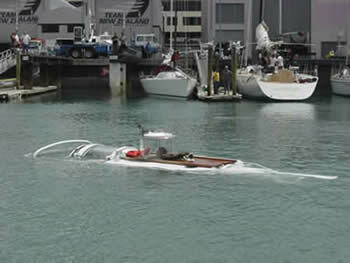 Taurus Submarine on the move. The Taurus dry-transfer submarine in South Africa. After an extended refit programme, completed diving trials with the South African Submarine Service from their base in Simonstown. 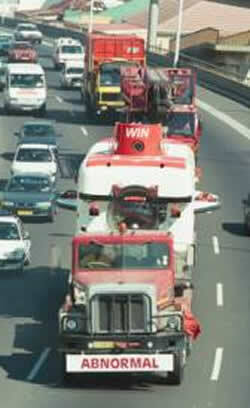 The pictures shows Taurus being moved by road from Cape Town. Royal visit to Silvercrest Submarines. Silvercrest was honoured to receive a visit from His Majesty King Abdullah of Jordan, who expressed great interest in our worldwide submarine activities. 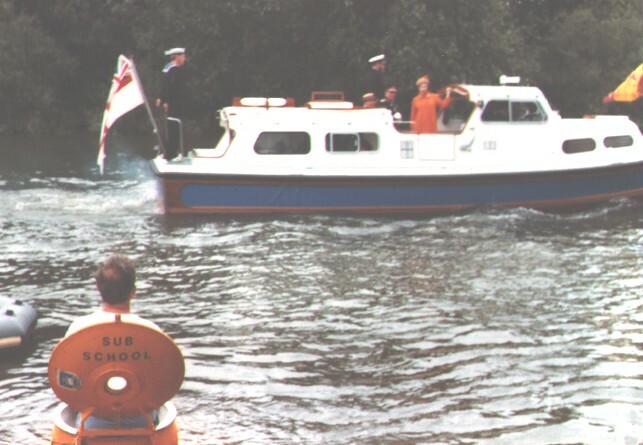 Her Majesty Queen Elizabeth waving to our submarine crew, during a nautical event in England. 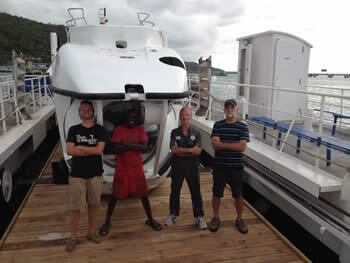 Silvercrest Re-Fit Crew South East Asia. 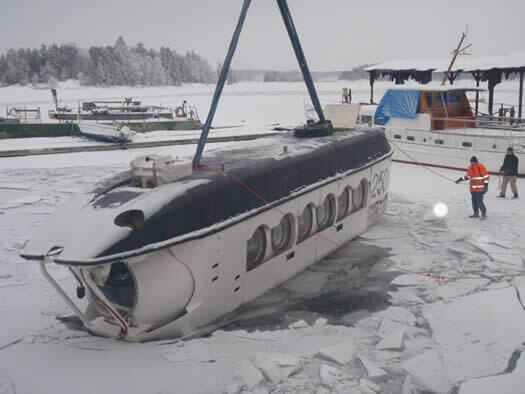 The Silvercrest crew refitting a forty- passenger tourist submarine in Southeast Asia. 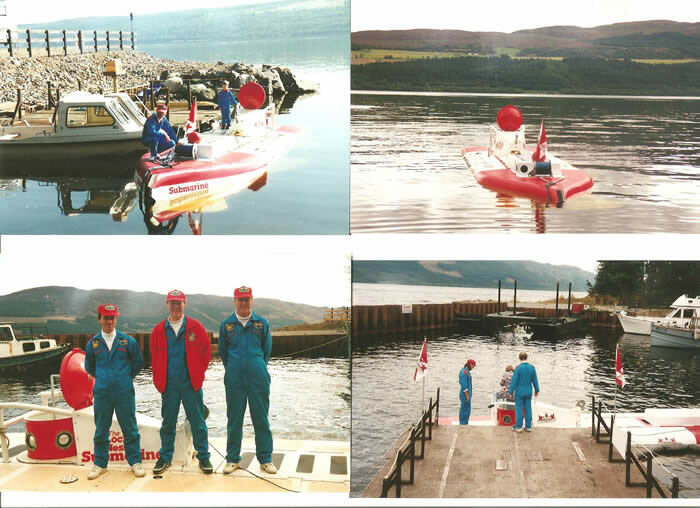 Pictures from our Silvercrest Submarine Operations Worldwide. 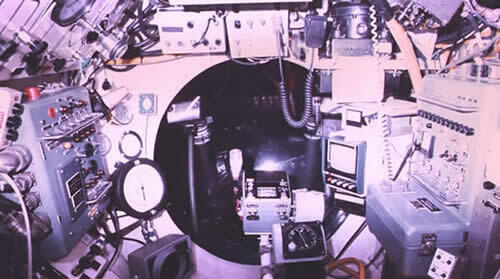 Pilot controls in submersible LR2. 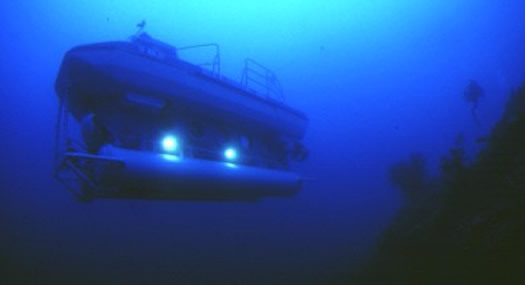 Mergo Submarine diving in Lake Windemere, Great Britain. 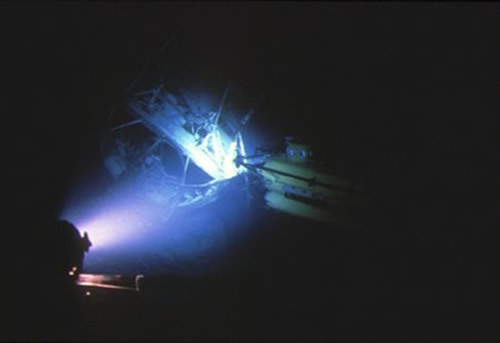 Two Perry submersibles filming the wreck of the Kirk Pride at 780ft off Grand Cayman. 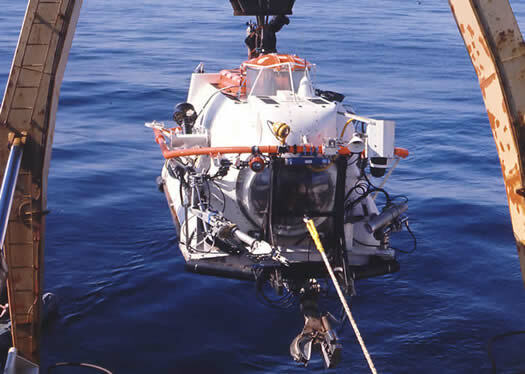 Test Diving a Deep Submersible. Diving DeepWorker subs in SE. Asia. 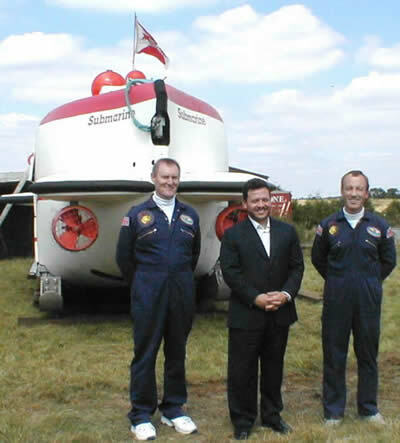 Pisces Submersibles operating in the North Sea. 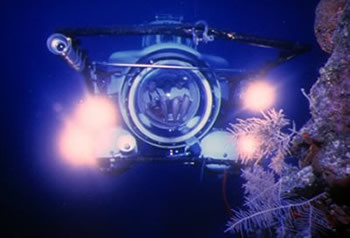 These submersibles have an operational depth rating of 3000ft. The Famous Loch Ness Submarine (sponsored by Swatch Watches). 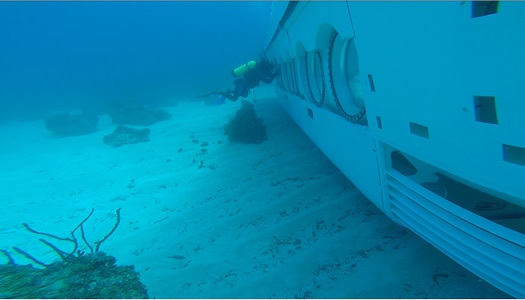 We carried out one thousand dives to 800ft over two summer seasons. 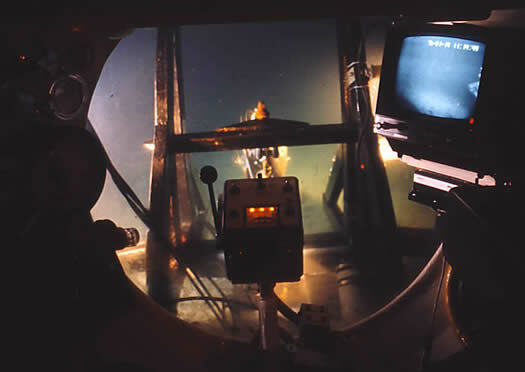 The Mobile Diving Unit (MDU) operating in the North Sea. 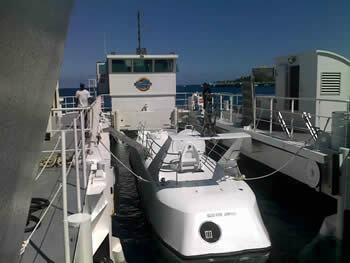 Comsub on charter in the Galapagos Islands. One of our Submarine operations in the Caribbean. Diving under the Artic ice pack. Silvercrest Submarine operations in the Indian Ocean. Pisces 111. operations in the North Sea. LR Submersibles operating in the North Sea. Submarine Escape Suits are now available from Silvercrest, please contact us for details. The Submarine Escape Jerkin is designed for crews to escape from small submarines, and manned submersibles. The jerkin works on a similar principle to the traditional submarine escape suits used by the Royal Navy, which have been successfully used on trials from 600ft (200m) depths. The jerkin is packed in a compact valise bag that can be easily stowed in a confined space, with one bag per crewmember. The jerkin features a waistcoat type construction fitted with a stole or life jacket section, and an ascent hood fully enclosing the escaper's head. The Submarine escape jerkin can be quickly unpacked and fitted when required. 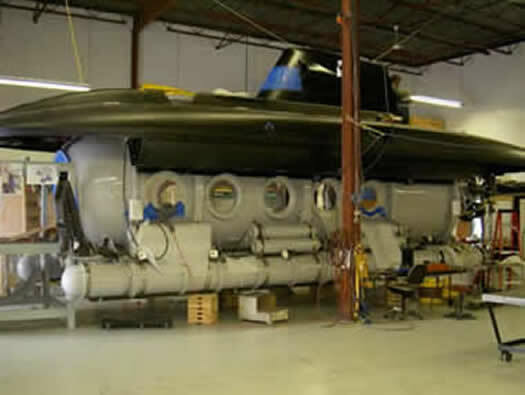 The Submarine Escape Jerkin is the ideal escape suit for crews wishing to escape from stranded manned submersibles and other small submarines being used in the scientific research, underwater leisure, and other subsea operations. The escape jerkin features a waistcoat type construction, fitted with a stole or life jacket section and an ascent hood fully enclosing the escaper's head. The stole is fed with breathing quality air from an integrally mounted air bottle (1.4 litre capacity at 200 bar). The airflow from the stole into the ascent hood is automatically controlled by a pair of pre-set relief valves. When worn with the hood fully closed, surplus air is allowed to escape from an aperture at the base of the ascent hood. Thus always giving the wearer newly replenished air to breath on his ascent. Capacities: stole 12.5 litres. Ascent Hood 33 litres. This jerkin is fitted with an inner hood for added comfort and security. It also has waist belt and crutch straps, fully adjustable to ensure comfort fit. The jerkin is also equipped with a seawater activated light, whistle, torch and sea marker dye pack. All the above is contained in a special purpose carry valise that can be easily stowed onboard small manned submersibles or tourist submarines. The SEIE. MK11 submarine escape suit is designed for free ascents from depths of 180m (600ft). 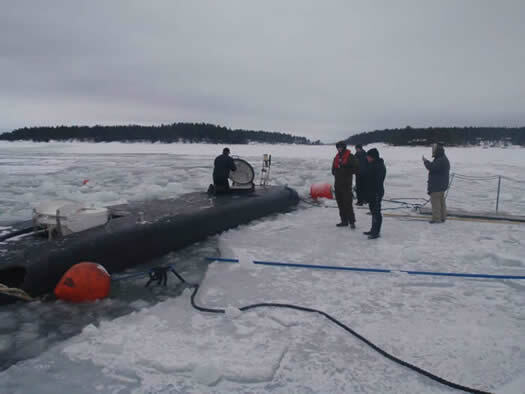 Once on the surface the suit provides thermal protection to the escaped submariner. 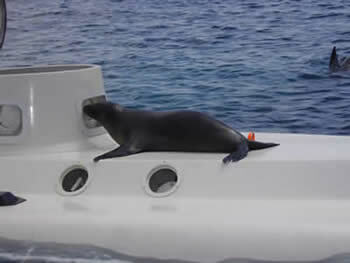 The SEIE comprises a submarine escape and immersion suit, inner thermal liner, and a gas inflated single seat life raft. All contained in a protective stowage valise. The escape suit is a single garment with hood, splashguard, and ankle adjusters that can be donned within 40 seconds by the submariner. Manufactured from lightweight, high visibility, durable fabric. Fitted with inflatable stole and two pressure relief valves. Whistle. Nose clip. Charging connector valve. The single seat life raft is attached to the escape suit by a short lanyard, and manufactured from high visibility, durable fabric. Fitted with gas inflation cylinder, splashguard, and battery operated light. Packed in a storage valise 30.5x 22.8x 7.6cm. Total size and weight of the SEIE.MK10 when stored on the submarine (suit and life raft) is 7kg, dimensions 35x 33x 19cm. Complete packed assembly includes Escape Suit, TPG and Life-raft. The three assemblies are hermetically sealed into protective foil envelopes and packed into a protective carrying valise, marked with the RFDB Part number and the NSN. The complete packed assemblies are stored in air-tight foil envelopes with sufficient desiccant to ensure their working life for up to twelve years. Submarine Escape Immersion Equipment* (SEIE), also known as *Submarine Escape /and/ Immersion Equipment* is a British designed whole-body suit, and one-man life raft that allows submariners to escape from a sunken submarine. The suit provides protection against hypothermia, and allows survivors to escape a disabled submarine at depths down to 600 feet (183 m), at a rate of eight or more men per hour. 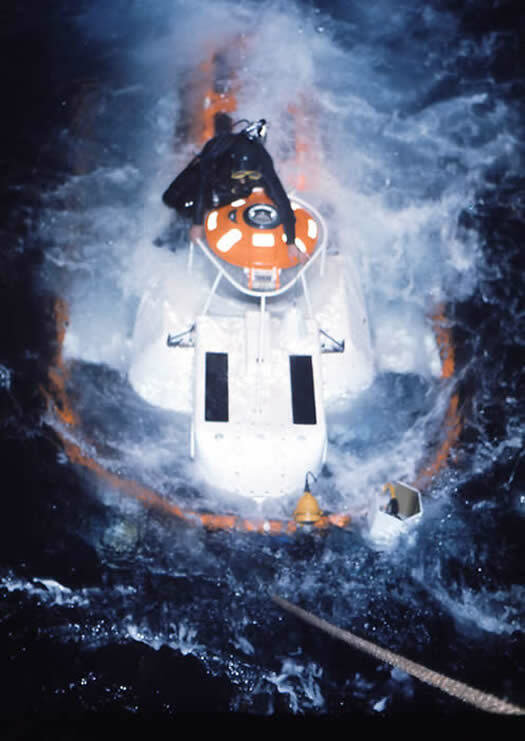 The SEIE is designed to enable a free ascent from a stricken submarine and to provide protection for the submariner on reaching the surface until rescued. 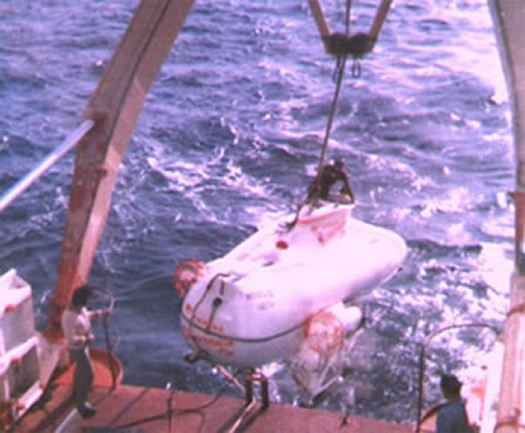 The assembly comprises a submarine escape and immersion suit, an inner thermal liner, and a gas-inflated single-seat life raft, all contained in an outer protective stowage compartment. The suit not only keeps the escapee dry and protected from cold shock during escape, but also acts as a thermally efficient immersion suit on reaching the surface. 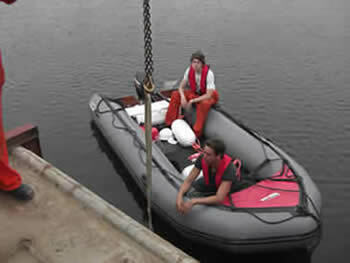 Full protection is therefore provided while deploying and boarding the life raft. 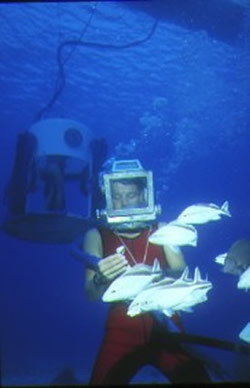 The suit provides sufficient lifting force to take the escapee from the submarine to the surface at a safe speed of approximately two to three meters per second. The British SEIE Mk-10 has been used in Royal Navy Submarines for a number of years. The British designed SEIE MK-10 is scheduled to replace all Steinke hoods aboard U.S. Navy submarines in the near future. 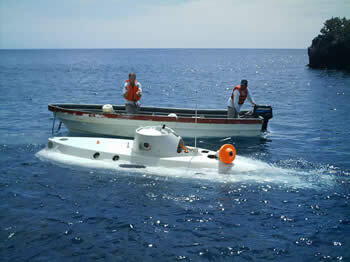 In 2000 the USS TOLEDO became the first US submarine to have the fully operational and certified British escape system. 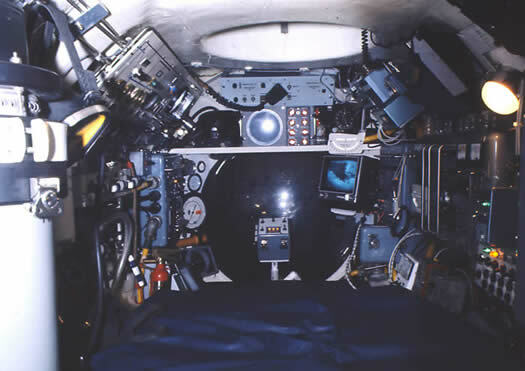 By 2002 twelve other SSN-688 Class submarines had received the system, and all Los Angeles Class submarines would eventually be equipped with this system. As of early 2007 all Virginia-class and Los Angeles-class submarines had been modified, and only two Sea wolf-class submarines still had to be refitted. The ballistic missile submarines were also undergoing modifications at that time. The reconfiguration of escape trunks and training of the crews are requirements prior to installing the new system. To use the equipment, submariners put on the suit and then enter the rescue chamber onboard the submarine. Once in the chamber and ready, the submariner signals by tapping on the inside of the chamber with a ball-peen hammer. Then the chamber is flooded, which takes about 90 seconds at 600 feet. 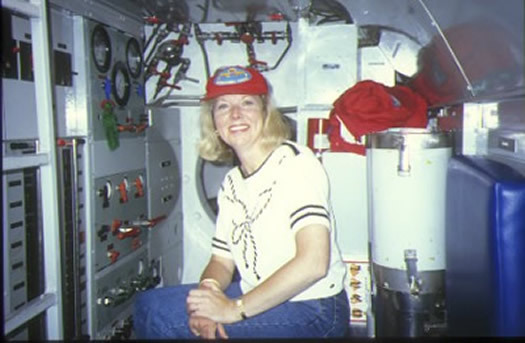 When the water pressure in the chamber is equal to the water pressure on the outside, the outer door to the chamber opens, and the escapee shoots to the surface because of the buoyancy of the suit. PLEASE CONTACT US TO DISCUSS YOUR SUBMARINE ESCAPE EQUIPMENT REQUIREMENTS. EMERGENCY EQUIPMENT LIFE SUPPORT EQUIPMENT for SUBMARINES and SUBMERSIBLES. Sodasorb and Sofnlyme CO2 absorbent. Other items of submarine equipment on request. UNDERWATER COMMUNICATIONS (UWT) for SALE. Subcom 2000 Through-water Communication (UWT and UQC) systems now available for sale. The Subcom 2000 Underwater Communications System is designed for use in diving bells, small submarines and manned submersibles. 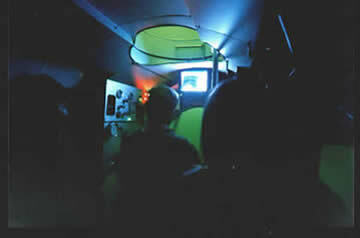 The system provides subsurface communications (UQC and UWT) between the submarine and the surface (or other submarine) in clear speech, by acoustically passing messages through the water column between two transducers. 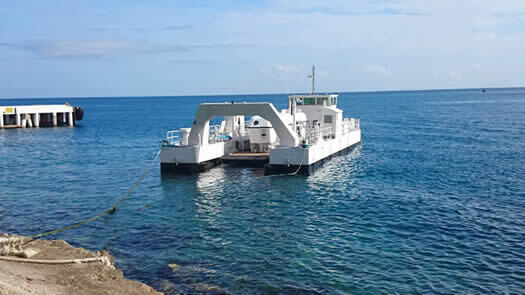 The system can be powered either directly from the submarine onboard power source, or alternatively by use of its own battery pack (minimum of 20 hours under normal conditions). The Subcom 2000 incorporates an extremely reliable single side-band, suppressed carrier system. Operating at 10Khz or 27KHz with 4.2KHz bandwidth. Users can select between Subcom 2000 surface unit and Subcom 2000 bell unit. 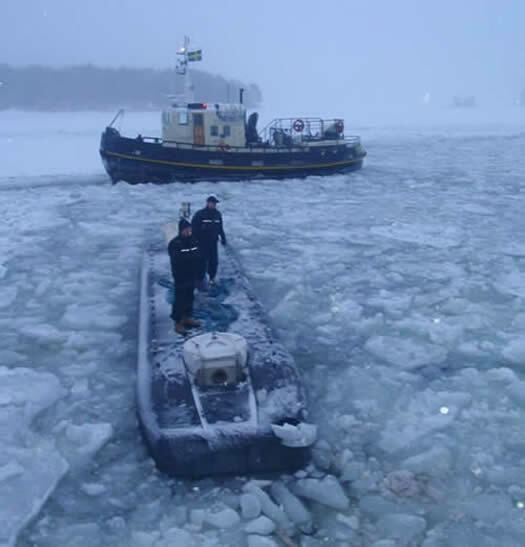 A small submarine operation would have on the surface support vessel, one surface unit (10Khz and 27Khz transducers with cables, and microphone). 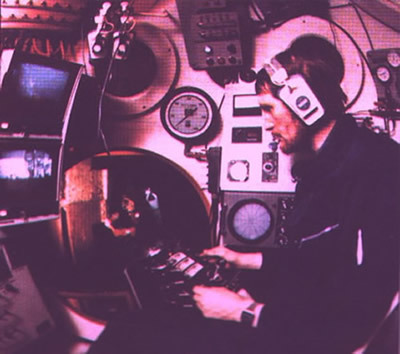 The submarine could select to have onboard a 10Khz and 27Khz transducer, microphone, and either the surface unit or the bell unit (depending on space available). SUBMARINE VIEWPORTS & DIVING CHAMBER ACRYLIC VIEWPORTS. 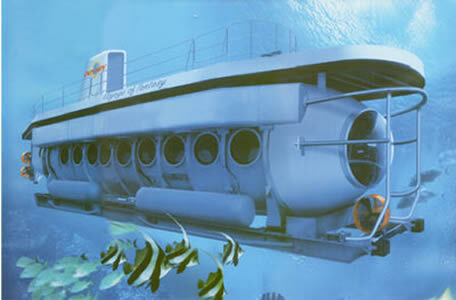 Silvercrest is supported by one of the largest manufacturers in the world of PVHO acrylic windows, and acrylic viewports for submersibles, pressure vessels, and diving chambers. We can supply Flat Disc acrylic viewports, Conical acrylic viewports, hemispherical acrylic viewports, and Spherical and Cylindrical shapes. All are subject to strict inspection and are manufactured to a standard exceeding the requirements of ASME PVHO 1-2007. Authorities available to inspect our acrylic viewports include Lloyds Register, A.B.S, D.N.V, and Germanischer Lloyds. 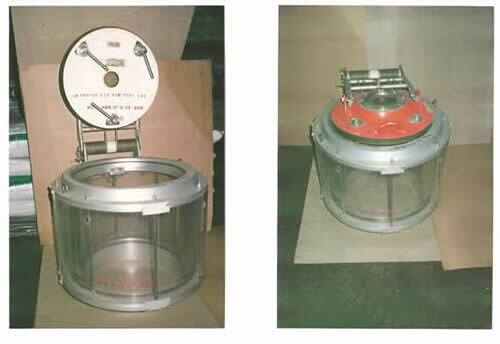 The acrylic material used to manufacture these submersible and diving chamber viewports is "Transpalite® SS" which was developed during the 1980’s. This is a very high grade Acrylic used in the manufacture of ASME / PVHO viewport windows, pressure cylinders and for many high specification engineered products. This material has been and is still a specified material for many engineered acrylic products. All products are polished to a very high standard by experienced and conscientious technicians. With the aid of conventional polishing mops and our attention to detail we can offer a high quality visually perfect polished finish. 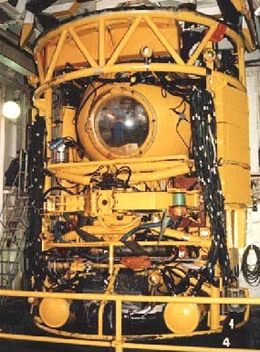 SUBMARINE & DIVING CHAMBER VIEWPORTS. Replacement Acrylic Domes for wet-bell systems that are undergoing refurbishment. We can offer an Acrylic Dome 1200mm l/d x 600mm high, 15mm thick clear cast acrylic, with a 50mm flange drilled with 20 holes. Eighteen acrylic viewports for a Drass saturation diving system, with a maximum diving depth of 1000ft. Each viewport to be Flat Disc with O-ring, size 190mm diameter x 45mm thick. PVHO documentation and Lloyds inspection to be provided for each viewport. All viewports will be manufactured to exactly match your old units. Replacement Acrylic viewports for a decompression diving system. Acrylic conical viewports for air dive DDC to ASME PVHO standard. Design pressure 290 Psi. Complete with PVHO certificates. The viewports will be manufactured to exactly match your drawings. Viewport Tolerances: Diameter: +0.0mm / -0.2mm. Thickness: +0.2mm / -0.2mm. Acrylic domes, viewports, and hulls for manned submarines, submersibles, and diving systems. For all your submersible viewport and diving chamber viewport requirements, please contact us. Silvercrest/Linden Photonics specialize in the bespoke manufacture of fibre (fiber) optic products, for use on underwater vehicles, ROVs, and various military applications. These products are used throughout the offshore Oil and Gas, Telecommunications, security, and Defence industries. We offer high quality fibre (fiber) optics that are typically used as underwater tethers for either torpedo or ROV guidance. We specialize in developing rugged fibre (fiber) optic cables for underwater applications. While we have a number of standard products, most often our clients are seeking a semi-customized product that will require a specialized design from our in-house technical support team. For example, higher tensile strength, varied OD, multiple channels, and electrical/optical hybrid cable. Our cables are often less expensive than competing cables owing to our patented manufacturing process. We have a unique extrusion technique that allows us to manufacture a very rugged and durable cable at low cost. At the present time we are having great success with our tether cable not only in the commercial market, but also in the military market, and we are seeing interest worldwide as the world's naval forces fibre (fiber)ize their fleets. Our product is excellent, our prices very competitive, and our delivery schedule the best in the industry. We are at the forefront of this technology, specializing in the development of innovative, high performance yet cost effective packaging solutions for optoelectronic and microelectronic systems for defense and commercial customers. Our objective is to be a strategic partner to agencies of the Department of Defense, their prime contractors, and advanced technology firms; to develop and deploy cost effective packaging solutions for optoelectronics and microelectronics that are hermetic, radhard, chemically inert and are enabled by incorporating Linden’s proprietary, ruggedized optical cable technology. We have gained valuable knowledge relating to the mechanical properties of various LCP resins, and the way in which these properties vary with tool design, process temperature, speed of extrusions and filler materials. Furthermore, we have developed knowledge of the radiation resistance and moisture barrier properties well beyond that available prior to our research. These core competencies are directly related to developing optical cable for markets such as DoD torpedo guidance, ocean floor exploration, and communication buoys. Our commercial markets are oil drilling and exploration, chemical sensors, electro-optical packaging and virtually any environment requiring rugged compact cable. LCP jacketed optical fibre (fiber) cable has great potential in the area of packaging for electro-optic devices. One of the major challenges facing the packaging engineer is that of creating the hermetic seal around the optical input and output ports. LCPs have excellent barrier properties, are easily molded with great precision, and being thermo plastic, can be bonded with relative ease. It is therefore possible to use LCP both for the hermetic packaging and the fibre (fiber) jacket. This monolithic approach has the advantage that no special preparation of the fibre (fiber) is required. Expensive metallized pigtails can be replaced by short lengths of LCP jacketed fibre (fiber) that is robust and easy to handle. Linden prides itself on having introduced innovative, high-quality optical cable products for demanding torpedo guidance, communication buoy and hybrid remotely operated vehicles (HROV). We design and develop high-strength, moisture and radiation resistant, cost-competitive packaging components and optical fibre (fiber) cable using patented liquid crystal polymer (LCP) buffers. Our products provide quasi-hermetic, radiation resistant packages for the military and commercial telecommunications and sensor markets. Linden's product development began by exploiting the many novel properties of Liquid Crystal Polymers (LCPs). These unique materials are sometimes referred to as self reinforcing polymers, and can exhibit a specific tensile strength ten times that of steel cable. Most high strength cables require the addition of longitudinal strength members such as Kevlar. The manufacturing process is cumbersome and significantly increases the cost of the cable. By using LCP buffer over any fiber or wire a maximum alignment of polymer chains yields a high tensile strength. Linden has developed proprietary processes such that thin, extruded strands of LCP have a tensile modulus comparable to Kevlar. Linden has demonstrated that a 30 mil LCP jacketed SMF28 cable has a breaking strength of 55 lbs. and has developed methods of surface treatment to reduce abrasion during the life of the cable. In addition to high strength, STFOC also exhibits excellent mechanical and thermal stability. By controlling the molecular orientation of the extruded LCP jacket, the expansion coefficient can be matched to that of the fiber. This provides for a high degree of thermal stability, permitting the cable to be used over a very wide temperature range without suffering increased attenuation as a result of microbending. The cable also exhibits excellent chemical and thermal stability. It will survive exposure to organic solvents, acids, and fuel oils. In conjunction with molded LCP packages Linden is at the forefront of technology, providing innovative functionally hermetic, radiation resistant packages to the military and commercial, telecommunications and sensor markets. Linden continues to expand its product portfolio and design expertise through ongoing internal research as well as collaboration with some of the world's most renowned technology companies. A proprietary Strong Tether fibre (fiber) Optic Cable (STFOC) for torpedo guidance applications that can be manufactured at a fraction of the cost of existing cables. The closest competing product, FOMC (also called Ruggedized Microcable™ Tether Cable) is cost prohibitive for even military applications. Linden’s cable, STFOC, is only a fraction of this cost and is a drop-in replacement for FOMC for many applications. STFOC at 30mm diameter has a breaking strength of 50 lbs and can be deployed at high speeds through metal umbilicals. Molded LCP near-hermetic packages for use in optoelectronic components are a replacement for the more costly and traditional ceramic and metal packages. Linden’s proprietary LCP buffered fibre (fiber) is used as pigtails and, where it exits the package, sealing is achieved with ultrasonic bonding. Packaging is often 60 to 80 % of the cost of an optoelectronic component. Near-hermetic LCP packages eliminate the need for expensive ceramic and metal packages and expensive metalized fibre (fiber) pigtails. They provide high temperature performance and the ability to mold precise micron scale features into the molded parts. A thin, buffered optical cable for sea-surface communication buoys and hybrid remotely operated vehicles for ocean bed exploration. Linden’s cable is small diameter, high specific strength and buoyant. Linden works closely with other DoD contractors to enable precision spooling of thin optical cable that can be deployed at high speeds. LCP jacketed optical fibre (fiber) cable & packaging for electro-optic devices can meet commercial needs for a cost-effective alternative to the standard packaging options. One of the major challenges facing the packaging engineer is that of creating the hermetic seal around the optical input and output ports. Such a seal is typically created by stripping and metalizing the end of the fibre (fiber) and then soldering it into a metalized glass sleeve. Finally, the bead is soldered into the metal housing of the device. Stripping and metalizing fibre (fiber) is an expensive, labour intensive and delicate operation, and the cost of a ready-made fibre (fiber) pigtail is typically well over $100. Handling is also problematic as fibre (fiber) breakage during the packaging process is common. Linden’s LCP buffered fibre (fiber) eliminates this problem and is the basis for partnerships with optical component manufacturers. Linden has developed and continues to develop innovative products in the area of polymer technology. We have developed specialty in-house testing for cables which includes pressure testing, flexibility testing, diameter characterization and cut-through testing. In addition, we now offer cost-effective molding services for precision parts. Our experience with LCP and other high performance polymers allows us to mold very detailed and difficult parts. Our products are expending as well, and we are pleased to announce the introduction of a full line of interconnect products. We now offer an extensive line of copper and fiber connectors and cable assemblies. Markets served include military/avionic, industrial, telecom as well as a line of underwater connectors. Circular Connectors. Rectangular Connectors. Filter Connectors. RF Coaxial Connectors. Optical Fiber Components. Contact us to see how we can meet your needs. SILVERCREST / SME SUBSEA, SUBMERSIBLE, ROV ELECTRIC MOTORS. Anodised aluminium, or, 316 stainless steel. SME design their motors so they do not run hot. Typical motors can run on deck for at least 10 minutes on full load, with no cooling, without overheating. The motors are designed to be compact in size and suitable for heavy duty applications, like trenching. If weight is important SME can design the motor for minimum weight by utilising an aluminium construction and a hollow motor shaft, etc., while still ensuring the motor is generously rated for full load operation. If the motor is going to drive a hydraulic pump we recommend a close coupled arrangement to save the weight of the coupling and the coupling housing. All motors are oil filled and we recommend hydraulic oils for good lubrication characteristics in preference to electrical oil which has better di-electric capabilities, but worse lubrication capabilities. The preferred power cable entry system for SME motors is to use an "oily tube" connected to an adaptor which is part of an oil tight rubber gland which is fixed to the stator frame. SME do not recommend bringing the power cables through the endshields of the motor because this creates additional complications when the motors are stripped down during service, because the endshields cannot be readily removed from the stator. Subsea connectors can be offered as an alternative to the Oily Tube if requested. SME strongly recommend that the motors are supplied with PT100s fitted in the windings and also in the bearings and that the internal motor temperatures are monitored and set up to alarm if the temperatures rise above the "norm". SME can also offer additional protection with a water detector, etc. The auxiliary connections for PT100s, etc. can be made through standard high pressure, water tight, plug and sockets as supplied by "Subconn", "Impulse", and "Burton". These are also fitted to a connection block on the stator, not on the endshield. SME can offer to supply Hydraulic Power Units, ROV HPU, complete with the addition of a customer specified Hydraulic Pump. Also motor-pump sets for both hydraulic and water jetting applications. Silvercrest/SME build and repair ROV submersible motors for all subsea applications. We design, manufacture, and supply, submersible electric motors for all SUBSEA and ROV, SUBSEA equipment, also for any special purpose submersible electric motor requirements. Silvercrest/SME offer SUBSEA electric generators for Tidal Power Generation. 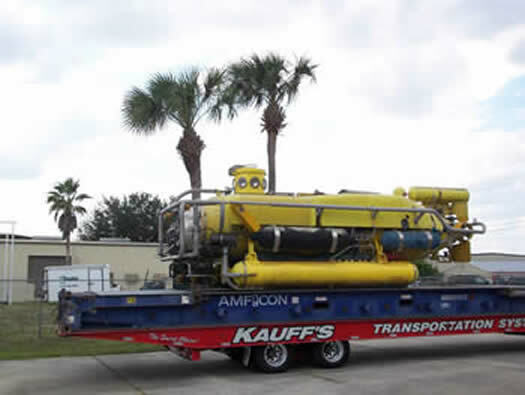 High Temperature Submersibles in 6-inch to 20inch frames suitable for operation in ambient temperatures of 75 Deg. C.
Supply Upgraded Temperature Monitoring units, with new improved user-friendly parameter settings. Manufacture Subsea Electric Generators for Tidal Generation. Induction Generators or slow speed Permanent Magnet Synchronous Generators unto 500kW. We offer a wide range of electric submersible motors with matched hydraulic and water pumps. We have our own submersible motors that are drop-in replacements for most of the popular models in use today. We can supply ROV HPU submersible motors from 30kW to 250kW, trenching HPU submersible motors from 100kW to 500kW, trenching jetting pumps, plough HPU submersible motors, plough jetting pump sets, turbine and centrifugal water pumps, and hydraulic pumps (Rexroth A7 and A10 series, Sauer 90 series and Kawasaki KV3 series). We offer AC thrusters as direct replacements to existing DC thrusters from 1kW to 50kW in size. 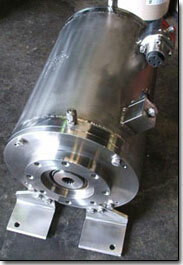 Silvercrest/SME design and build specialized Submersible ROV motors for use SUBSEA in the offshore industry. These motors are usually made to order and vary from 1kW to 600kW, from 400 to 6600 Volts, 50 or 60 Hz, 2 Pole, 4 Pole, 6 Pole and 8 Pole. We can repair, rewind, rebuild, and redesign any ROV submersible electric motor. Silvercrest/SME design and manufacture specialized motors for use on SUBSEA equipment used in the offshore industry. There are two common methods of construction - stainless steel construction or Marine Grade aluminium that is Black anodized to resist corrosion. We can also offer motors manufactured from Duplex and Super Duplex stainless steel. Our subsea motors are usually oil filled and pressure compensated. The common operating voltages are 400 volts, 3300 volts, 4160 volts and 6600 volts (even for small 5kW motors). Our motors operate at depths down to 4000 metres, or deeper by special request. Silvercrest/SME manufacture complete submersible electric motors, motor-pump sets, and ROV HPU. 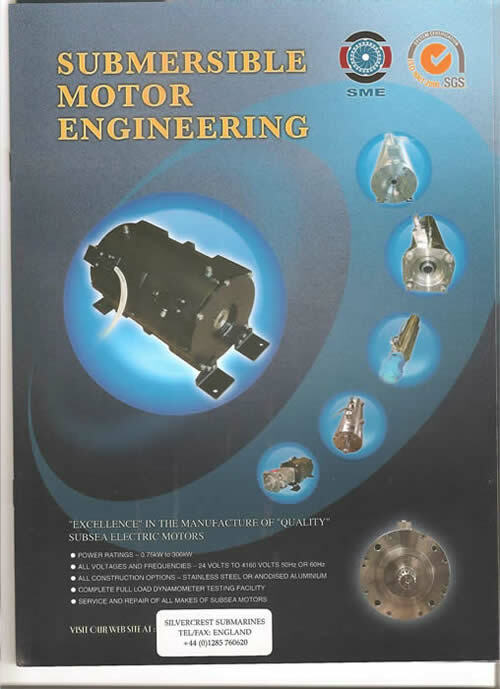 We offer submersible motor rewinding / rebuilding /electrical conversion / and original construction modification. SME can repair and completely rebuild most submersible electric motors (for example: Alstra, Aturia, Bamsa, B. J., Elmaksan, Exodyne/EEMI, G.E., Hayward Tyler, Hitachi, Mercury, Oddesse, Pleuger, Saer, S.M.E., Subteck, Sumo, Sun Star, U.S.). 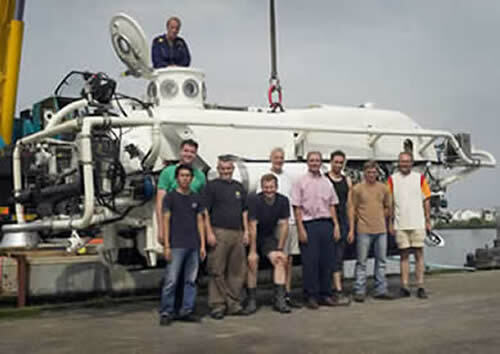 Silvercrest/SME manufactures new Submersible and ROV Motors. SME also services and repairs all brands of Submersible and ROV Motors. Including Hitachi, Pleuger, Grundfos, Mercury, Byron Jackson, Haywood Tyler, and Franklin. Our business is to manufacture, supply and service Submersible Electric Motors, Subsea and ROV motors. With a compliment of 30 service orientated staff members, we have the ability to service and technically support all makes and models of Submersible Electric Motors at our Maddington, Perth facility. Our sales department, with a total of 75 years experience in the Submersible and Electric motor business, are happy to assist with any enquiries on the purchase of Submersible Motors, HPU, and motor-pump sets, ranging from 3.7kw to 1500kw, in various voltages and frequencies. Voltage Testing through 10,000 volts. An Overhead crane through 10 ton capacity. A state of the art Water Pressure Test facility with full international certification. High POT and Surge Testing. Full Load / Dyno testing to 250kw of all types of Electric Motors with detailed test reports. Balancing Facility available, to 250 kg. Special Motors for specialist applications. 4 Pole, 6 Pole and 8 Pole motors. All Stainless Steel or more exotic material construction. NEMA and other couplings in a variety of materials. Replacement parts of obsolete products. Repairs to all makes (Oil and Water filled). Rewinds of all Voltages (200 volt to 6.6kv) with 1 Year Warranty on all rewinds. On site or Factory Based Cable Splicing. Retro Fitting of Condition Monitoring Equipment. Modification of existing motors to upgrade them higher specifications. Refurbishment of ROV motors using more technically advanced materials. Submersible Motor Engineering design, manufacture, and supply, Submersible Electric Motors for Deep Well Pumps, Subsea Electric Motors and Submersible Electric Motors for Sump pumps, and any special purpose submersible electric motor requirements. SME also offer Subsea Electric Generators for Tidal and River Power Generation. SME has extensive service, repair, maintenance and testing capabilities, at our purpose built facilities in Western Australia and Arizona. SME can provide solutions for any submersible or subsea electric motor applications– from design and speci?cation through to servicing, repair and/or replacement. Our experience and commitment to quality allows our clients complete con?dence that their requirements are in the best possible hands. Subsea Electric Motors & ROV Electric Motors. SME design and manufacture a world leading range of Subsea Electric Motors, including motors for HPU’s on ROV‘s, Electric Thrusters for Manned Submarines, and Heavy Duty Jetting Pumps on Subsea Trenchers. SME motors are robust and reliable in the toughest of environments. Our ?exible design capabilities mean we can manufacture Subsea Motors to suit any application. Our range of motors allow Flexible External Dimensions to suit all requirements and provide the possibility of “Drop In‘’ replacement motors. SME have produced over l00 different types of Subsea motors and thousands of motors. We offer a variety of Construction Materials from Anodised Aluminium to Exotic Stainless Steel Alloys to ensure long term reliability in varied environments whilst still offering the advantages of light weight design. To ensure the integrity of the motors SME does not use castings and all components are manufactured from solid metal or extrusions. Motors can be offered with a variety of Interfaces for Driven Equipment — from Robust Shafts with Multiple Shaft Seals to Close Coupled Motors with Female Spline Hubs to allow direct ?tment of Hydraulic Pumps. SME can design and manufacture from the “Lamination Up” to ensure the Motor is ideally suited for the application. This bespoke Manufacturing policy ensures we can meet any special design requirements. SME can build motors from Fractional Kilowatt Motors right through to large outputs in the Megawatts and above to ensure we meet all requirements. SME Subsea Motors can be manufactured in all voltages from 24V through to 6600V at 50Hz or 60Hz, or for use with Variable Speed Drives. Due to SME’s proprietary Insulation System motors up to 4l60V can be built with a Random Winding to reduce size and weight whilst losing nothing in terms of reliability. This insulation system is speci?cally engineered to ensure suitability of operation in Hydraulic Oil or many of the Bio-Degradable Oils commonly used for Compensation circuits. All motors are designed for external compensation allowing for operation at depths as deep as 4000M. The Motors can also be offered with Cooling circuits to ensure high output motors maintain minimal operating temperatures at Full Load. SME Motors are ?tted with Water Detection Probes and Temperature Detectors and these can be terminated to a variety of different Subsea Connectors. Power can be supplied to the motors through Subsea Connectors or Highly reliable Oily Tube Connections. SME’s extensive testing facilities ensure we can test these Subsea Motors at rated Voltage and Frequency. This testing can also involve Hydraulic Load testing on a HPU, or Flow and Pressure Testing of Jetting Pumps in our Test tank. Full string testing involving the Drives, Control Gear, Motor and Driven equipment can also be organised. Submersible Motor Engineering’s extensive Service Capability also ensures we are the best location for Service and Refurbishment of Subsea Motors of any manufacturer. Quite often SME can return motors to their clients in a better than new condition due to our ability to implement the latest Engineering Practices into the repair process. 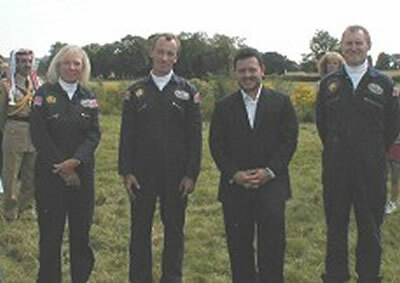 A new service, repair, maintenance and testing facility is being opened in England (UK). SME has extensive service, repair, maintenance and testing capabilities, at our purpose built facilities in Western Australia and Arizona. SME can provide a solution for submersible electric motors – from design and speci?cation through to servicing, repair and/or replacement. Our experience and commitment to quality allows our clients complete con?dence that their requirements are in the best possible hands. SME specialises in minimizing downtime for critical application submersible electric motors by providing an ef?cient and cost effective mechanical repair and rewinding service at our ISO 9001 accredited facilities. Our experienced technicians are proficient at working with all brands of submersible electric motors and can quickly return motors back to service. We also maintain detailed records of motor failures across all brands which assist with plant management. SME is well quali?ed to offer advice to prevent future faults. SME can modify and upgrade all brands of submersible electric motors during the repair and servicing process to meet the requirements of any application. These modifications can include changing materials, adding temperature sensors, re-design to suit different voltages and frequencies, applying protective coatings, offering extended cable lengths and splicing cables, replacing damaged, corroded, or worn parts and other application specific alterations. SME has the “in house” machining and fabrication capabilities to manufacture obsolete parts ensuring maximum life for motors are achieved. SME can provide a number of site support services to ensure the reliability and performance of our clients‘ submersible motors. Our experienced ?eld service engineers can provide installation, commissioning, fault finding supervision, and training. SME‘s factory facility, located in Perth, provides for an extensive testing regime for repaired and overhauled motors. SME can full load test motors on our dynamometers and can also offer performance testing of complete pump/motor units in our purpose built test tank – at the speci?ed voltage and frequency up to 6600 volts. SME can guarantee motors that have been serviced and repaired are fully tested before dispatch, providing customers with complete confidence in the work prior to re-installation. All motors that are rewound by SME are subject to an immersion pressure test which is conducted in our pressure test vessel to ensure the integrity of the windings prior to assembly and load testing. Our commitment to a strict testing regime protects our clients from the risks of downtime caused by unexpected failure. SME design and manufacture a broad range of Submersible Electric Motors, including motors for variety of applications from Mine De-watering to Sea Water Lift Pumps. SME motors are robust and reliable in the toughest of environments. Our ?exible design capabilities mean we can manufacture Submersible Motors to suit most applications. Our range of motors include Flexible Interface Dimensions to suit all requirements and provide the possibility of “Drop In‘’ replacement motors. We offer a variety of Construction Materials from Cast Iron, SS316 Grade Stainless Steels as Standard to Exotic Stainless Steel Alloys to ensure long term reliability in varied environments whilst still offering the advantages of excellent performance. Motors can be offered with a variety of Interfaces for a broad range of Pump types — from Standard NEMA and IEC frames to unique Flange and shaft arrangements with Multiple Shaft Seals. SME can design and manufacture from the “Lamination Up” to ensure the Motor is ideally suited for the application. This bespoke Manufacturing policy ensures we can meet any special design requirements. SME can build motors from small Kilowatt Motors right through to large outputs in the Megawatts and above to ensure we meet all requirements. SME Submersible Motors can be manufactured in all voltages from 110V through to 6600V at 50Hz or 60Hz, or for use with Variable Speed Drives. Due to SME’s flexible manufacturing systems we can offer motors in water or oil filled constructions. Motors can be provided for internally balanced or header tank installations. SME’s extensive testing facilities ensure we can test these Submersible Motors at rated Voltage and Frequency. This testing can also involve Hydraulic Performance testing on a customers pump in our Test tank. Full string testing involving the Drives, Control Gear, Motor and Driven equipment can also be organised. Submersible Motor Engineering’s extensive Service Capability also ensures we are the best location for Service and Refurbishment of Submersible Motors of any manufacturer. Quite often SME can return motors to their clients in a better than new condition due to our ability to implement the latest Engineering Practices into the repair process. SME – WD Series Motors. For Open Well or Sump Applications Submerged or not Submerged, With Cast Iron, Steel, or Stainless Steel Construction. SME has many years experience in the manufacture of submersible motors and the WD series of motors have been designed for the toughest jobs to ensure reliability and a long service life. When conditions are extreme and performance is critical these motors deliver the quality and durability required. WD motors are designed for continuous operation in sludge, effluent, slurry, and other liquids – to a submergence of 10 metres, in an open well, a river bank, a tailings pond, or a sump. The motors are air filled, with a separate oil ?lled seal chamber to ensure robust sealing of the drive shaft. The WD Series motors can also be supplied with a large range of sealing options to ensure the motor is suitable for the most extreme conditions from a combination of lip seals, and/or mechanical seals, to complex cartridge seal arrangements. If the motors are going to be continuously submerged they will rely on the liquid they are submerged in for cooling. If they are not going to be submerged continuously – or only intermittently — they are designed with a water jacket for cooling and water is usually bled from the pump through the water jacket. These IP68 motors have been used in both vertical and horizontal applications driving a diverse range of pumps in many unique applications. The Motors can be supplied with an extensive array of ?ange and shaft dimensions to ensure the motors can be matched to a large range of different pumps. The motors can also be supplied with standard IEC and NEMA ?ange and shaft dimensions. 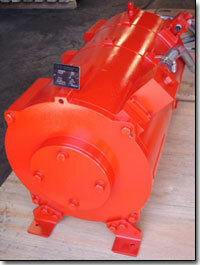 The motors are very robust and designed to take the physical abuse on a typical mine site. They can tolerate overloads, and a lack of cooling. They can maintain full load operation for 15 minutes with no external cooling. These motors offer a robust alternative to other units that suffer from shorter operating lives – with no changes to the existing Wet end performance. These motors are ?tted with moisture detection probes and PT100, or themistor, thermal protection — as standard – and provided these are properly connected and set to give advance warning of problems these motors will give many years of reliable service in extreme applications. SME design and manufacture a range of Water Cooled Electric Motors to provide a alternative to Standard Air Cooled Vertical Hollow and Solid Shaft Motors, these motors are for variety of line shaft turbine applications. The removal of the forced air cooling and replacement with a water jacket fed from the discharge of the pump ensures almost silent operation. This makes them uniquely suitable for pumping applications where noise is critical during operation. SME motors are robust and reliable in the toughest of environments. Our ?exible design capabilities mean we can manufacture Water Cooled Motors to suit most applications. Our range of motors include Flexible Interface Dimensions to suit all requirements and provide the possibility of “Drop In‘’ replacement motors. Motors can be offered with a variety of Interfaces for a broad range of Pump types — from Standard NEMA P Base and IEC frames to unique Flange and shaft arrangements. SME can provide Water Cooled Motors with robustly engineered bearing arrangements to ensure pump thrust loads are absorbed adequately to guarantee long term operation. SME’s extensive testing facilities ensure we can test these Water Cooled Motors at rated Voltage and Frequency. This testing can also involve Hydraulic Performance testing on a customers pump in our Test tank. Full string testing involving the Drives, Control Gear, Motor and Driven equipment can also be organised. Submersible Motor Engineering’s extensive Service Capability also ensures we are the best location for Service and Refurbishment of Water Cooled Motors of any manufacturer. Quite often SME can return motors to their clients in a better than new condition due to our ability to implement the latest Engineering Practices into the repair process. SME design and manufacture a world leading range of Electric and Hydraulically Driven Subsea Pumps. These are designed to operate as Heavy Duty Jetting Pumps on Subsea Trenchers and Ploughs, Subsea Dredging and Excavation Equipment. 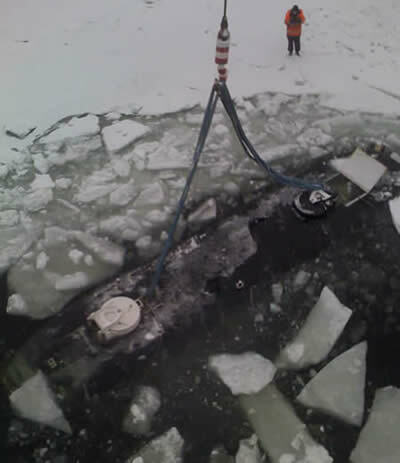 SME Pumps are robust and reliable in the toughest of environments. Our ?exible design capabilities mean we can manufacture Subsea Pumps to suit most applications. Our range of motors allow Flexible External Dimensions to suit all requirements and provide the possibility of “Drop In‘’ replacement units. We offer a variety of Construction Materials from Anodised Aluminium to Exotic Stainless Steel Alloys to ensure long term reliability in varied environments whilst still offering the advantages of light weight design. SME can design and manufacture from “raw material up” to ensure the Motor and Pump is ideally suited for the application. This bespoke Manufacturing policy ensures we can meet any special design requirements. SME can build motor and pumps from Fractional Kilowatt Motors right through to large outputs in the Megawatts and above to ensure we meet all requirements. SME Electrically Driven Subsea Pumps can be manufactured in all voltages from 24V through to 6600V at 50Hz or 60Hz, or for use with Variable Speed Drives. Due to SME’s proprietary Insulation System motors up to 4160V can be built with a Random Winding to reduce size and weight whilst losing nothing in terms of reliability. This insulation system is speci?cally engineered to ensure suitability of operation in Hydraulic Oil or many of the Bio-Degradable Oils commonly used for Compensation circuits. All pumps are designed for external compensation allowing for operation at depths as much as 4000M. The Motors can also be offered with Cooling circuits to ensure high output motors maintain minimal operating temperatures at Full Load. SME Motors are ?tted with Water Detection Probes and Temperature Detectors and these can be terminated to a variety of different Subsea Connectors. Power can be supplied to the motors through Subsea Connectors or Highly reliable Oily Tube Connections. SME’s extensive testing facilities ensure we can test these Subsea Pumps at rated Voltage and Frequency. This testing includes involve Hydraulic Performance/Relibility testing on a HPU or Job Specific Electrical Supply at rated Voltage and Frequency in our Test tank. Full string testing involving the Drives, Control Gear, Motor and Driven equipment can also be organised. Submersible Motor Engineering’s extensive Service Capability also ensures we are best location for Service and Refurbishment of Subsea Motors and Pumps of any manufacturer. Quite often SME can return motors and pumps to their clients in a better than new condition due to our ability to implement the latest Engineering Practices into the repair process.